Wow is all I can say about this package! The overall package front and rear is an amazing upgrade for this sled! As far as the front shocks they are a nice stand alone upgrade for the front of your XP but if you want the full effect step up for a full on shock package and include the rears. 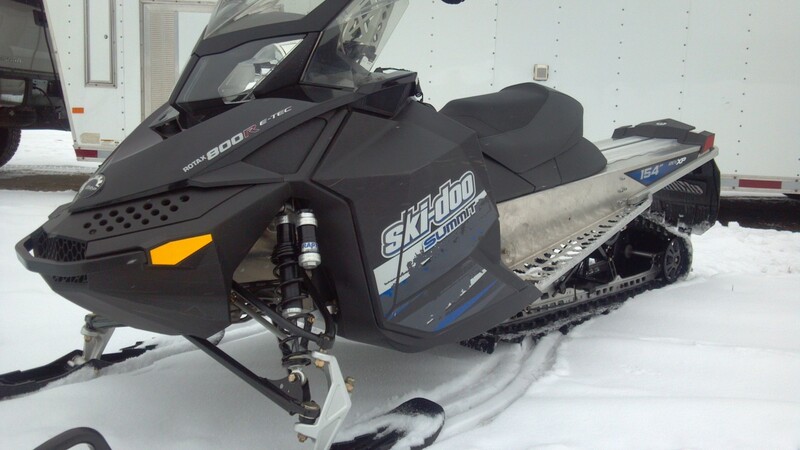 These front shocks are a different animal to calibrate due to the ratio that Ski-doo uses on the front of there sleds and we use a pretty specific setup for these. We added not only more ski travel to these but they also got a RPS jounce bumper and a killer set of RPS triple rate bowling pin springs! This kit will put a smile on your face when your haulin the mail through waist deep whooped out power lines! Shocks sold individually.